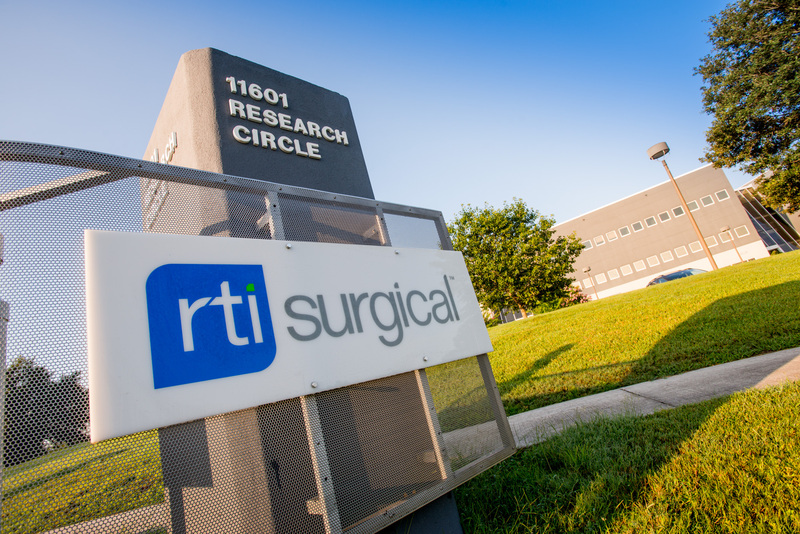 RTI Surgical® Schedules 2017 First Quarter Earnings Call for April 27, 2017 - RTI Surgical Holdings, Inc.
ALACHUA, Fla. (April 20, 2017) – RTI Surgical Inc. (RTI) (Nasdaq: RTIX), a global surgical implant company, announced today that it plans to release financial results from the first quarter 2017 on Thursday, April 27, 2017, prior to the market open. RTI will host a conference call and simultaneous audio webcast to discuss first quarter results at 8:30 a.m. ET the same day. The conference call can be accessed by dialing (877) 383-7419 (U.S.) or (760) 666-3754 (International). The webcast can be accessed through the investor section of RTI’s website at www.rtix.com. A replay of the conference call will be available on RTI’s website for one month following the call. This communication contains forward-looking statements within the meaning of the Private Securities Litigation Reform Act of 1995. These forward-looking statements are based on management’s current expectations, estimates and projections about our industry, our management's beliefs and certain assumptions made by our management. Words such as "anticipates," "expects," "intends," "plans," "believes," "seeks," "estimates," variations of such words and similar expressions are intended to identify such forward-looking statements. In addition, except for historical information, any statements made in this communication about anticipated financial results, growth rates, new product introductions, future operational improvements and results or regulatory approvals or changes to agreements with distributors also are forward-looking statements. These statements are not guarantees of future performance and are subject to risks and uncertainties, including the risks described in public filings with the U.S. Securities and Exchange Commission (SEC). Our actual results may differ materially from the anticipated results reflected in these forward-looking statements. Copies of the company's SEC filings may be obtained by contacting the company or the SEC or by visiting RTI's website at www.rtix.com or the SEC's website at www.sec.gov.